The Real Secret is practicing self love. 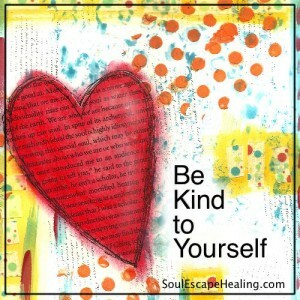 I heard someone say “self love was not for wimps” It is so true. even need to put effort into something so natural. Or maybe you think self love is selfish and arrogant. The truth is, Self Love is the foundation of everything you desire. This means, Loving everything about yourself. Yes I said everything! It is time to face your internal bully. Call them out and have a chat. You see the things you judge about yourself hold the keys to your transformation. Each judgement has its reason to exist and until you acknowledge that part of you it will continue to poke and nudge you. You can not shut this up with anything but self love and acknowledgment. Freedom awaits you through loving yourself. 858-382-4576 1/2 off Phone and Skype sessions Now.